Nashville Electric Service has joined with TVA to offer In-Home Energy Evaluations for residents of Davidson County. The program has been promoted in Council District 18 and has been well received. Anyone in the NES service area is eligible. For a fee of $150, experts will come to your home and make recommendations to make your home more energy efficient. If you implement their suggestions, the $150 fee will be reimbursed. Plus there are programs in place to reimburse homeowners for portions of the improvement costs. There is a $500 cash incentive for installing Energy Star replacement windows in your home. For easy fixes, $250 will be reimbursed for pre-approved improvements such as self installed insulation, caulk and weather striping. For more information, call 866.441.1430. 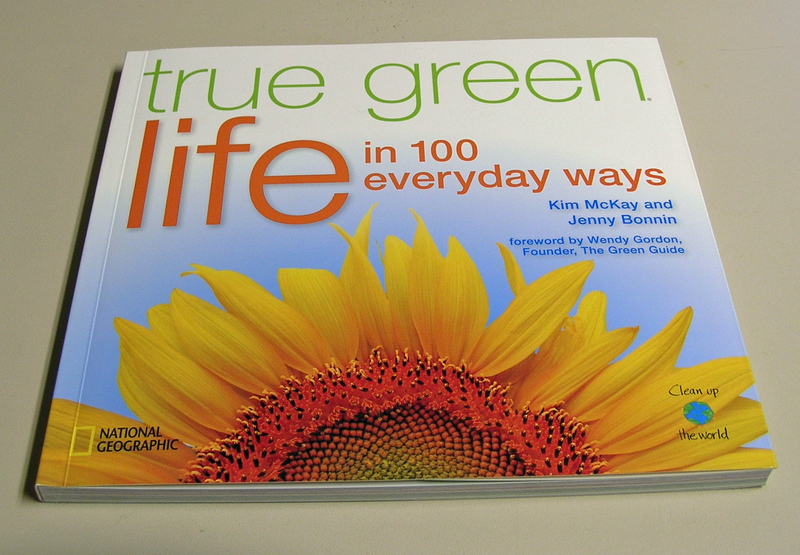 When I received this book, True Green Life in 100 Everyday Ways, from National Geographic, I assumed that I would know all the ways to be green. After all, living green has been my lifestyle for years. Wrong! Even long time greenies can learn something from this manual. Plus each suggestion is a gentle reminder of how small things are still important in living green. This morning, Metro Nashville Public Works cleaned up Newsom Station Road in Bellevue. Thanks! A grenade was dropped into a litter bin in the United Kingdom. Read here. The Vanishing of a Species? by Peter Gretener is about the future of homo sapiens. Will we survive as a species? Peter Gretener wrote most of the book in the 70s. He was a geologist and geophysicist. Since his death, his son Nicholas edited and published the book. Many chapters are undeveloped, but the themes are worth noting. I was amazed at the observations that Professor Gretener made in the 70s that proved prophetic. He died before the recent financial breakdown, but it is foreseen in his book. He knew years ago that a only a few of us cannot own and use all the resources in the world. Professor Gretener has three commandments for us. His third one is Thou Shalt Not Be a Wastemaker, which is the theme of this blog. The book has other themes besides the abuse of our world by man. One theme is that we are not unique, nor were we created for the world. We are just another evolutionary species. He argues, as I believe, that the planet will survive. Will homo sapiens? One of the neighborhoods along Newsom Station Road, Lexington Point, has contacted me about helping to clean up this stretch of road. Hopefully, we’ll have a group clean up on April 17 or April 24. Today, one woman (me) with one bag (in photo) cleaned up the area that is above Beech Creek. The trash eventually washes down into the creek which flows into the Harpeth River, where I get my drinking water. Most of what I picked up is not recyclable. I picked up a faux leather cell phone holder, a pair of socks (one was on each side of the road), lots of plastic grocery bags, styrofoam cups from fast food outlets, lots of paper and food containers, etc. The most common item I found today was one-serving salad dressing cups. I bet I found 20 of them. Some were empty; some were full. I also found a full bottle of beer. Russell, I found several illegals signs. Most were for lost dogs, found cats or garage sales. All of which had disintegrated. Only the roofing sign (in photo) survived intact, but mostly buried in the ground.